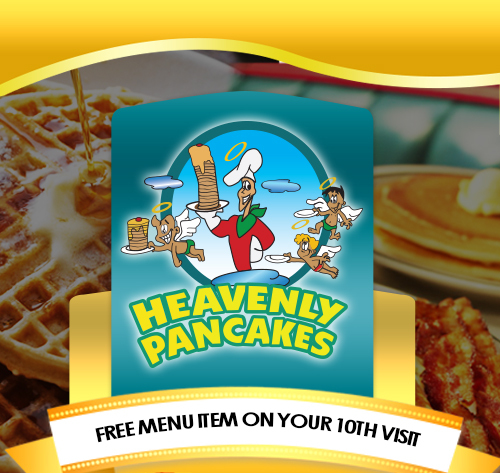 Best Breakfast & Brunch in San Fernando Valley. Providing a Clean Family Style Restaurant Since 1937. We offer much more than just great breakfast and brunch, we offer a good atmosphere. One of the “locals” favorite hangouts. Our all natural homemade Pancakes ingredients are carefully inspected to meet our strict standards and high quality expectations. We use only the freshest, most wholesome ingredients. We crack our own eggs; wash, chop and roast our own vegetables; in our kitchen every dish is made “from scratch” and made-to-order. New healthier options! We have partnered with the County of Los Angeles Public Health, and now we offer a new Smart Portions Menu. We are thankful of all our customers, which daily come by to enjoy one of our specialities. Undecided what to order? Try our favorites: Most common plates ordered by our customers. Fluffy pancakes makes breakfast seem like dessert! Contact Us here and we will provide you with our catering menu, and options of how to order it. Need directions to our restaurant? Get directions here: Get Directions. We are located in San Fernando, California. We have parking, provide Free Wi-Fi, and more. In a hurry? Avoid lines by ordering through the phone.